WHAT IS THE BEST TIME TO TAKE THE BEST BCAA™? We recommend (1) scoop before, during, or after your training. On non training days, (1) scoop in the morning on an empty stomach. WHAT CAN YOU STACK WITH THE BEST BCAA™? 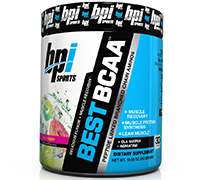 You can stack any of our other BPI Sports products with BEST BCAA™. WHAT IS THE MAXIMUM AMOUNT OF SERVINGS OF BEST BCAA™ YOU CAN TAKE IN ONE DAY? We do not recommend exceeding 3 servings of BEST BCAA™ in a day. WHY IS THIS BEST BCAA™ BETTER THAN OTHERS? 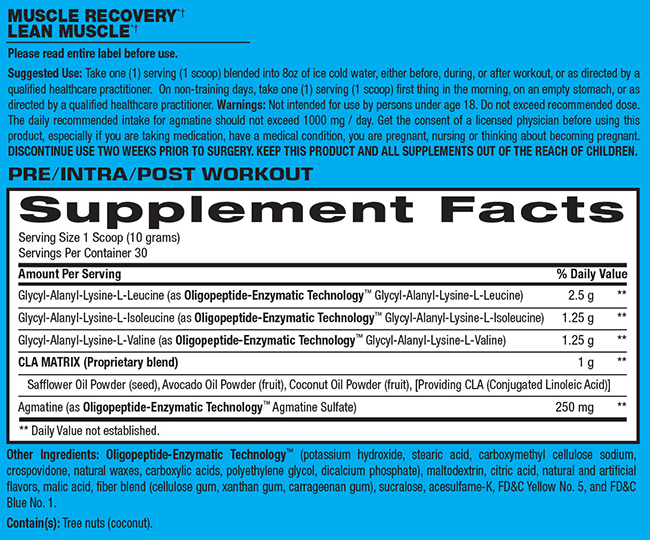 Not only does it have the BCAAs for recovery and growth, it also has a unique CLA Matrix and Agmatine Sulfate to support lean muscle building.